Has anyone had any foxes that tails curled and if so at what age did it start to show, I seen one that would rest it's tail straight up it's back not all the time but sometimes she also would put it straight up in the air like pointing to the sky, I was just wondering if them are normal signs or is that going to be a curly tailed fox ? I forgot to add she is around 10 weeks of age. Do you have a picture? Dave from Tiny Tracks says it can be a sign of inbreeding. He has some foxes with curled tails and floppy ears. While true, that it can be, I kind of hate to see that tossed around. The ears and tails are recessive traits, as in dogs, so yes in breeding or line breeding raises the chances of those genes doubling up. Even if there is some inbreeding or line breeding that's not a bad thing unless done wrong. 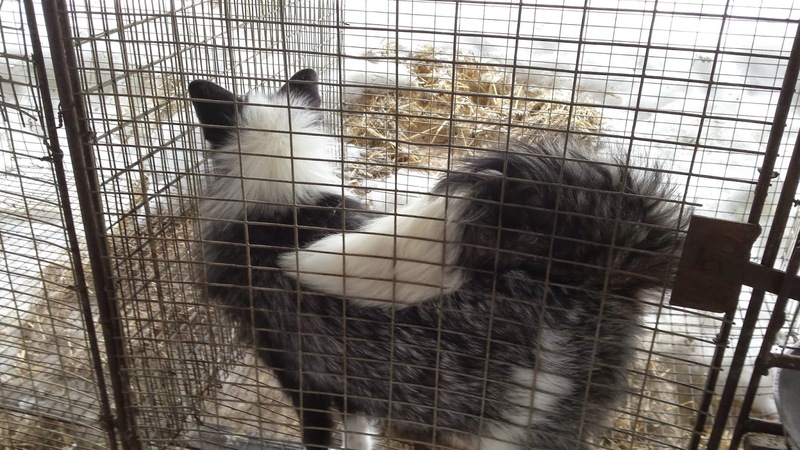 All domestic breeds and the fox color morphs get made that way. But recessive traits can pop up visible/doubled even without in breeding it just happens less often. It's when they pop up and you do some controlled in breeding that you make that random change into a predictable one and now have a breed or morph. I'm just a bit concerned about always saying curled tails and flopped ears are inbreeding every time it comes up because it comes off sounding like that's a bad thing we should avoid. And I don't see why we should. What would be wrong with a new curled tail morph? You don't point out every time a color morph is mentioned that it's caused by in breeding, but it is at least initially, they all are. I didn't mean to imply they were bad traits. Some of the Russian foxes have floppy ears and/or curly tails, and I don't dispute their health. I personally am pro inbreeding/linebreeding so long as done right. It's true though that if the answer to the curly tailed thing is always "due to inbreeding," that makes it sound very misleading since yeah, every color morph is inbred, lol. So why not answer the same when asked about those. I would like a curly tailed fox, lol. The floppy ears not so much, but the curly tail could be cute. As long as the fox isn't suffering (which they're not obviously), then I don't see the problem starting up a "morph" with a different look. It's just like the scaleless ball python gene. Didn't Elina take in a corsac with a curled tail? Not sure if that was just genetic or could have been a health issue, or if she ever figured it out. Thank you. Was just worried how the message was coming across. Actually when Dave first mentioned it being in breeding it was said as a bad-ish thing as he was trying to point out those traits aren't special and that, in his opinion, the Russian Domestic foxes are nothing special(a debatable separate topic). Yeah the tails seem like a neat change. The ears I'm not so sure on either. This one looks more like the curl eared domestic cats instead of floppy. On the original question I'm not sure but would assume you'd see anything like that from early on. The experimental breed of cat from a similar random gene, American Ringtail Cat, you see from kitten hood. They curl their tails up a lot or around things and also hold them normally. I'm sad that breed never took off but it's a "morph" that pops up on it's own now and then. Had a stray one hanging around once, really neat. If someone has farmed foxes that have flopped ears and curled tails and according to the Russian experiment, those are sign of domestication, does that mean that at least some farm/ranch foxes are actually domestic too? After all , atleast some of them were bred in captivity for many generations, just like the Russian foxes were. 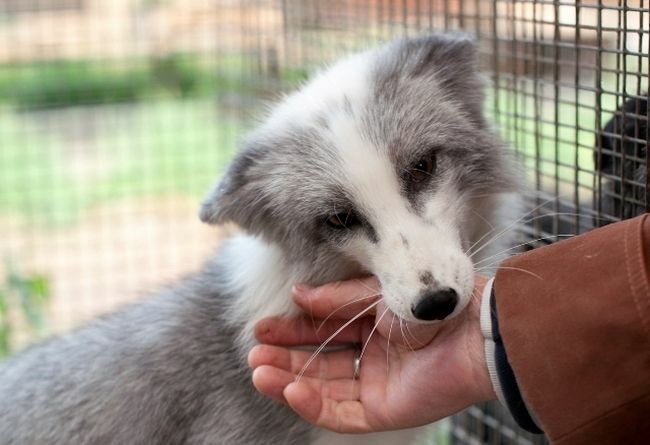 Russian foxes are genetically distinct and are domesticated on a genetic level. I personally feel that farmed foxes in the US are domesticated as well, just not to the same extent. Farmed foxes have genes that differ drastically from the wild population, and are bred to be more useful to humans (which is a definition of domestication). I wish I could get a chance to interact with the Russian foxes. From what I've heard and seen from videos, they seem a lot more focused and calmer. Oh. That's a good way of putting it. Yeah, I think they are domestic too, but just in a different way. I'm remember in an old topic that Dave/Daisy, said that some of his even bark like dogs and that's not normal for a fox and it freaks out the other foxes. Lol. I'll try to get a picture of it however she doesn't do it all the time so it just might be something she does, she does it when she is stretching most of the time, If it was a genetic trait wouldn't it be all the time she has it curled? She has stopped doing it for the most part it was really bad when she was younger. I thought it was just her using her tail to balance herself like a cat does also when she runs around she'll point it straight up in the air not sure if that's the same thing but it's just something I was wondering, if she does have a curled tail that's fine I just wanted to know if it was normal for the tail to do such actions. http://imgur.com/7A3M8jD Sorry that the pictures blurry she is fast! She doesn't do it all the time just when running around. Cool. No that's not a "normal" fox tail to do that. It's not curly like a pug but curled like a chihuahua, who's tail can be held normally or curled up over the back like that and would be more referred to as curved, or cycle shaped. So you could call it curved or curled. Curved would be more accurate but think curled is what they call curved in foxes. Cute! That looks like the picture of Dave's fox with a curled tail. I wonder if I could find that photo on here that he posted. Might take a while. Thank you guys for replying so fast, She doesn't do it a lot so I didn't know if it was something she would grow out of or if it'll curl/curve more as she ages. http://imgur.com/RMiCWG2 , http://imgur.com/nEmgjfG As you can see it's not all the time.